Are looking to start Angular JS as a side project or an additional tool or maybe for your main work? 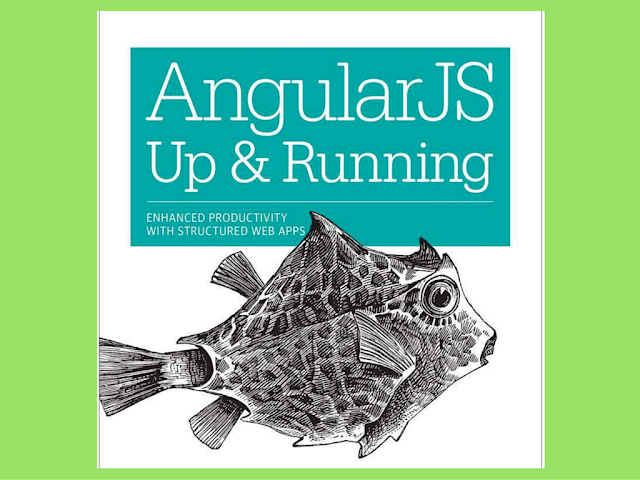 Then your best companion would be Angular JS: Up and Running. This is kind of a practical guide that helps the reader understand the meta-framework through step-by-step tutorials – starting from the basic to the most advanced concepts. The author of the book is an Engineering Manager at Google, working on Angular JS projects, and wrote the book with practical experiences from various projects. The other author Shyam Seshadri is the owner and CEO of an organization named Fundoo Solutions and has experience in working on exciting and innovative products. This book is the ideal resource for people who are already working on Angular JS and also for those who want to learn Angular JS and use the same in their daily work. This book would be ideal for both individuals and teams who want to experience the benefits of Angular JS as a whole. Whether you are an experienced user of Angular JS or wanting to learn the technology, this book is the choice for you. The students who want to learn the Angular JS technology can avail this book. This book is highly recommend for those who need to learn Angular JS – especially for them who have limited understanding of the technology or have received conflicting advice from the internet forums. The book is well-written by the authors and they have organized the content splendidly. The examples in the book are very clearly explained and sequentially move to the next topic without beating around the bush. he manner in which the authors have structured the book allow you to speed through the chapters quickly, because of the overall flow of ideas and concepts. One of the USPs of this book is the great introduction to Angular JS. If you are starting with Angular JS, this is the best book that you can have. The book is written in such a way that whether you have experience in Dojo, JQuery, Ext or any other framework, this book would prove to be useful for you. The authors have also touched the concept of MVC Framework. This comprehensive good-to-start-with Angular JS book is recommended as there is less availability of good books in the market as far as the beginners’ guide for Angular JS is concerned. The clear concepts and easily understandable code samples coined by the authors is truly commendable as it makes easy for the reader to not only understand the concept but also to implement the same in the practical applications. The UI technological aspects mentioned in this book are worth appreciating and will make the reader easily understand the concept and implement the same while they are working on developing an application. The Q & A section is the place for you to test the knowledge that you have gained. This book is an essential guide to Angular JS and makes you to pay close attention to the concept, if you want to learn them and implement them in your UI development projects. The clear explanations of each sections makes the readers understand the concepts in a very clear and concise manner. This is the straight-forward way of learning Angular JS. One area where the authors could have done better is a little more explanation on using “$scope” vs “controller as” syntax concept. The book requires a more serious editing as there are grammatical errors at places. Though the book has lots of concepts, some are shallow and often due to wrong grammar, they are hard to understand. The editor should have taken a more detailed look as there are many typos in the book and omitted characters – that too in the examples, which make it difficult for the readers. There are also some unrelated concepts discussed in the book. Overall the book is a nice choice, as it will definitely provide you a holistic understanding of Angular JS. Once you complete the book, you will be equipped with knowledge on developing high performance, maintainable and large applications using Angular JS. This review will assist your decision – whether or not this book is a necessity in your book-shelf.